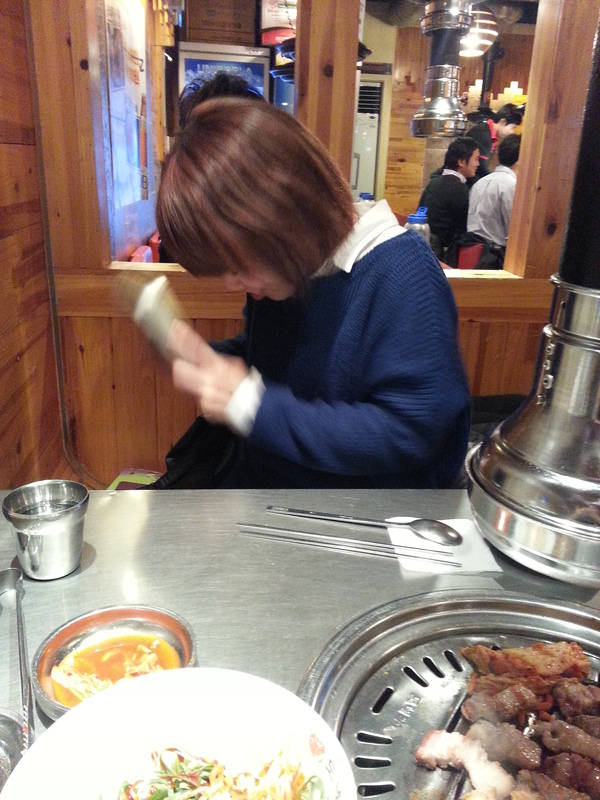 Mio and Chiharu from the Korean Class went to Donenu (도네누) in Gangnam for bbq samgyupsal (pork belly). The free side dishes include seaweed soup, sangchu (lettuce to wrap the meat) and Pa Muchim (green onion and bean sprout salad which you wrap into the cabbage with the pork belly) all of which are all you can eat/self serve. The girls also ordered gyeranjjim (egg soup) and dosirak which is a korean lunchbox filled with rice, egg and side dishes which you literally shake to make the ingredients mix together. 2 plates of pork belly later it was time to hit the cash register. Now food in Korea is relatively cheap but we were not expecting this. All this food for only 6800 won each! Just to clarify, the food was very good and although the place was rowdy with everyone talking and enjoying their soju and bbq (as with any good bbq joint in Seoul) there was nothing in the food, service or atmosphere which was bargained. 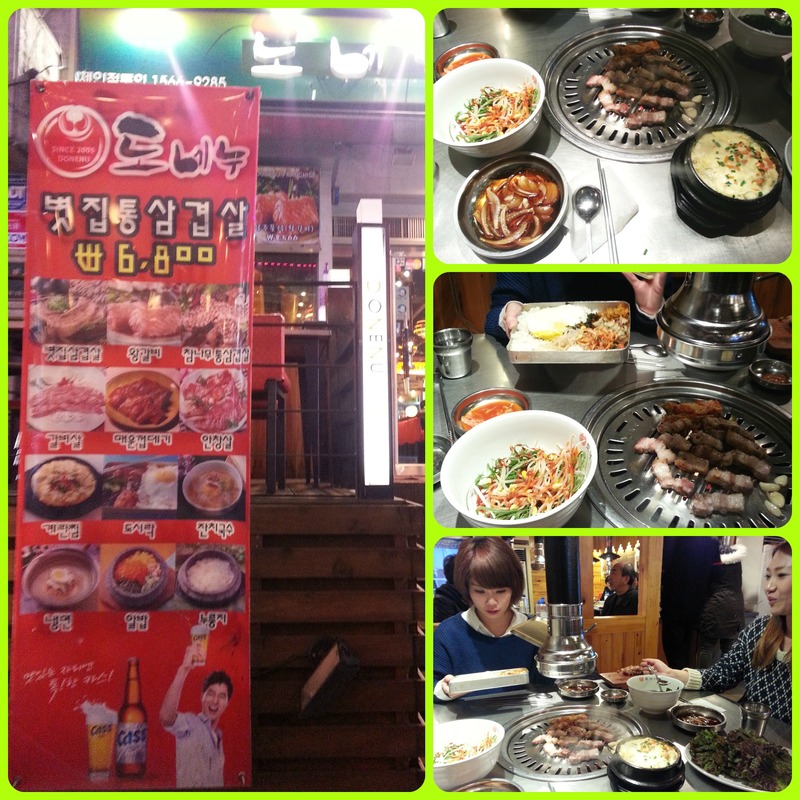 So if your looking for a affordable place to have samgyupsal with friends why not try Donenu.